When you first catch sight of Pasona HQ your eyes transfix – unable to divert nor wander. 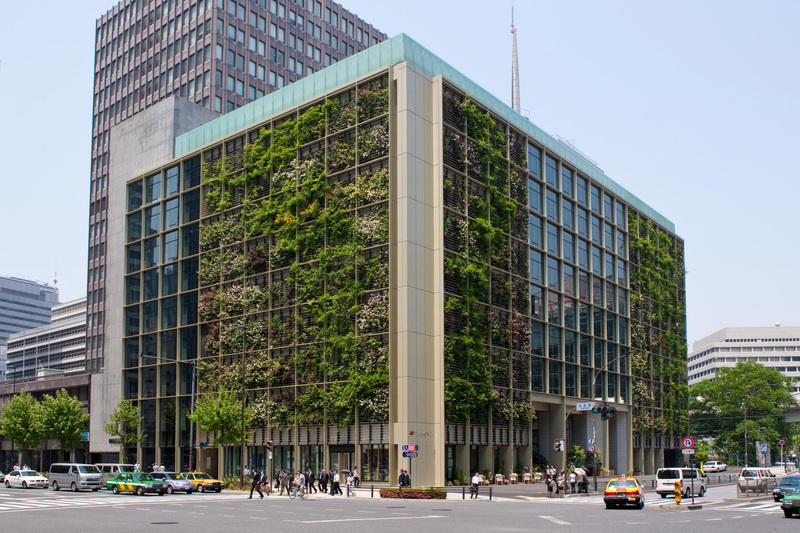 Located at the intersection of two busy avenues in Tokyo’s downtown business district of Nihombashi, the verdant building appears to move with its own natural rhythm against a backdrop of hulking concrete towers. This isn’t movement at the speed at which Tokyo is accustomed – the steely efficiency of the metro or the impatient trot of the ‘salaryman’. Instead, Pasona’s layered green facade flows and flirts with the wind – a languid, living organism. In the heart of this mega-city, where efficiency and orderliness often supplant nature’s dynamism, it’s this sense of life that defines the building both inside and out. On the verge of demolition some 50 years after it was constructed, the nine-storey building underwent a renovation led by New York-based architecture firm Kono Designs and since 2010, has served as the headquarters for the Japanese recruitment company, Pasona Group. After working with Pasona to develop an urban farming facility in the basement of its former office building, Kono Designs’ founder Yoshimi Kono was invited to create a design for the new headquarters that would allow the greenery to extend to the facade, rooftop and workspaces. 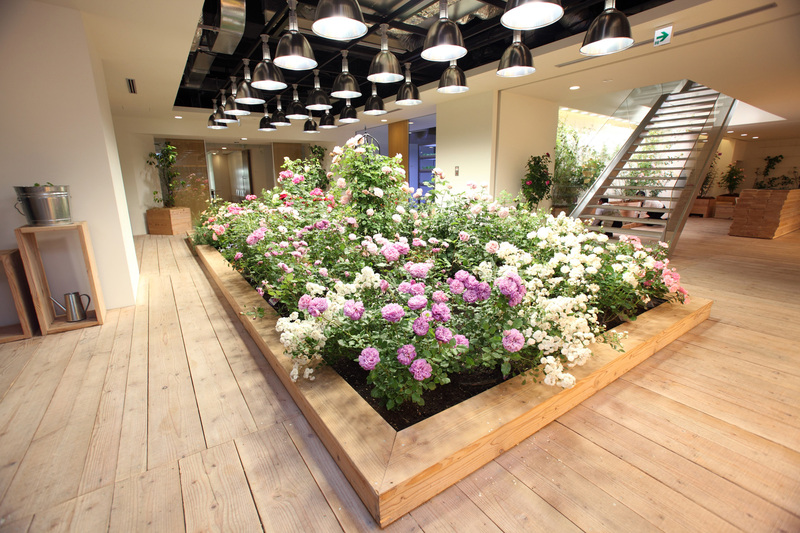 Kono, and a multi-disciplinary team of specialists, brought Pasona’s ambitious vision to life in the form of a revitalised office building filled and adorned with more than 200 varieties of plants, ranging from almond trees to blackberry bushes and hydroponically grown tomatoes. In addition to enhancing the working environment through the inclusion of flowers and edible plants, the building’s urban farm marries conventional and progressive approaches to agriculture. Pasona’s aspirations are placed front and centre in the building’s foyer, with visitors arriving at reception via a field of rice – ‘Takata-no-Yume,’ from the disaster-affected Rikuzen-Takata City in Iwate prefecture – growing beneath a powerful array of LED and high-pressure sodium lamps. Also featuring automated gardens and a climate-controlled ‘Vegetable Factory,’ the ground floor is open to the public throughout the week, allowing visitors to experience agriculture without leaving the city. 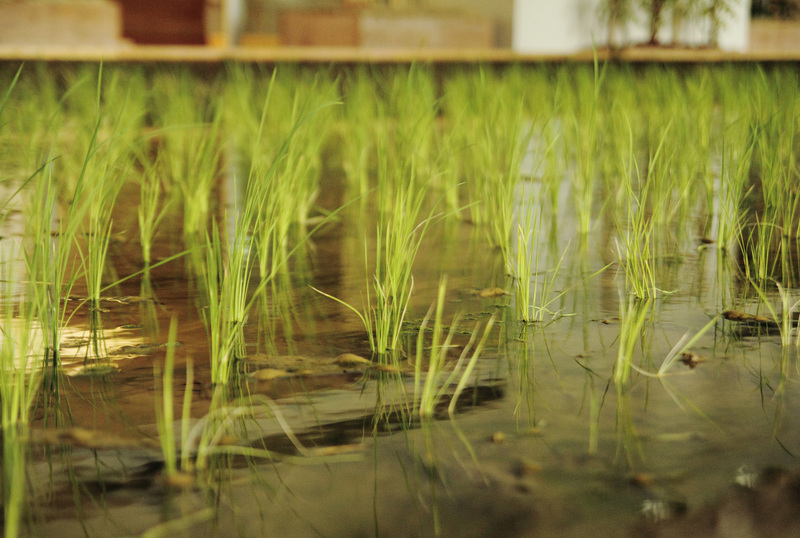 A calming and cool place of refuge – not least on a withering midsummer’s day – weekdays see schoolchildren running their hands through strands of rice, workers from nearby offices enjoying a break alongside the greenery and Nouentai’s staff carefully tending to climbers against the occasional burst of mist from the automated irrigation system. 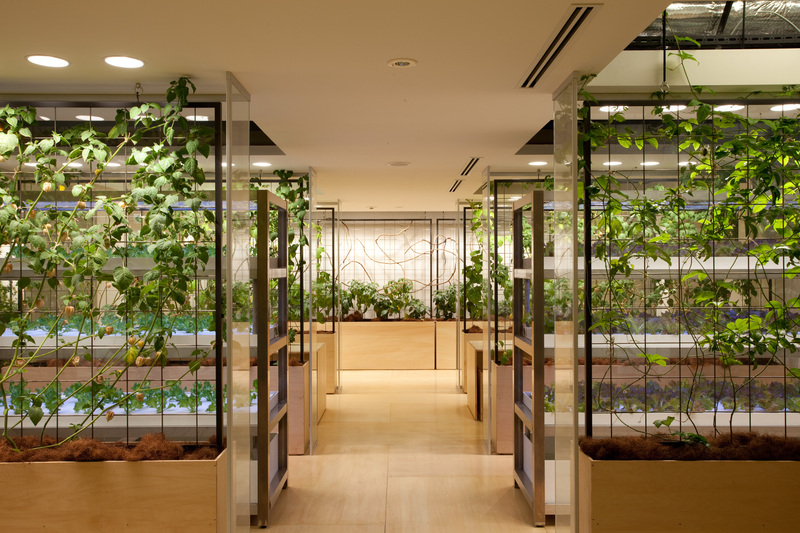 While Pasona’s outward-facing foyer presents the tactile potential of urban agriculture, the health and wellbeing of its workers are the focus of the building’s biophilic interior and exterior. The double-skin green wall facade of seasonal flowers, trees and vines provides an internal temperature buffer of up to 10º Celsius, while the use of up-lighting and operable windows has resulted in a significant reduction in energy consumption. 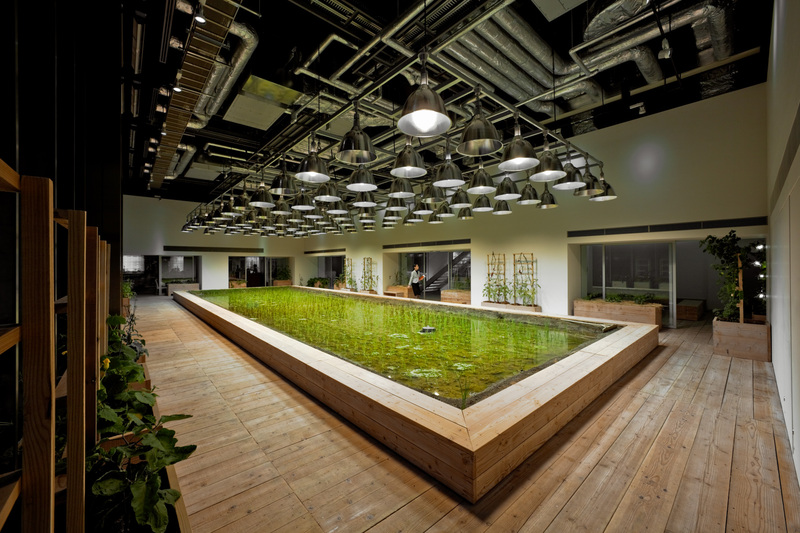 During the design and renovation process, Pasona Group chose to integrate balconies in the green wall and incorporate extensive indoor planting, prioritising the quality of the working environment over larger and potentially more profitable workspaces. Through both hydroponic and soil-based farming, a variety of produce grows alongside workers as they perform their daily tasks. From the fruit trees and climbing vines that separate meeting spaces to the rows of sprouts that line the hallways and fragrant herbs that punctuate common areas, the offices operate in symbiosis with nature. In return, the company has not only seen the positive health impacts of improved air quality due to reduced levels of carbon dioxide, but also increased environmental awareness, a growing number of budding urban farmers, and even improved communications between staff. In that respect, Kono notes, “It’s unusual to have living flowers and vegetables like these in an office space. They loosen up a tense working environment by providing something to talk about and giving workers a chance to reset their state of mind.” Equally important is the workers’ participation and satisfaction in supporting Nouentai’s team of staff in the cultivation of fruit and vegetables that go directly into the healthy meals served at the staff cafeteria – as part the largest office-based farm-to-table scheme in Japan. Navigating the building’s public and private spaces, it soon becomes apparent that the success of Kono’s ecological, human-focused approach to Pasona HQ’s design lies in its clever adaptation of the ‘bones’ of an existing building. From the abundant, eye-calming greenery to the luscious fruit which you encounter first by smell before sight, the spaces are familiar, comfortable yet alive, a marked contrast to the constructed or artificial stuffiness of so many other corporate offices. Pasona HQ challenges the business-as-usual approach to corporate culture and workspace design by putting both the wellbeing and inspiration-through-agriculture of its workers at its core. A space that sparks conversation and inspires a sense of wonder in its staff, schoolchildren and curious visitors alike.